What does a 3.8 billion-year-old crater have in common with data from a pair of spacecraft that crashed into the Moon nearly four years ago? Both are helping to provide clues about the geology of Earth’s natural satellite. Though the Moon may be Earth’s nearest neighbor in space, that doesn’t mean it has long since given up its secrets. 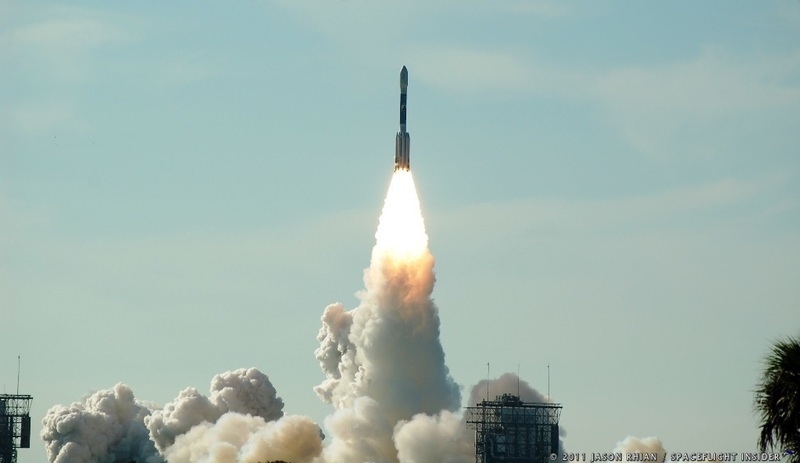 NASA’s Gravity Recovery and Interior Laboratory (GRAIL) twin spacecraft orbited the Moon for nearly a year, collecting a wealth of gravitational field data, before impacting the Moon’s surface on December 17, 2012. 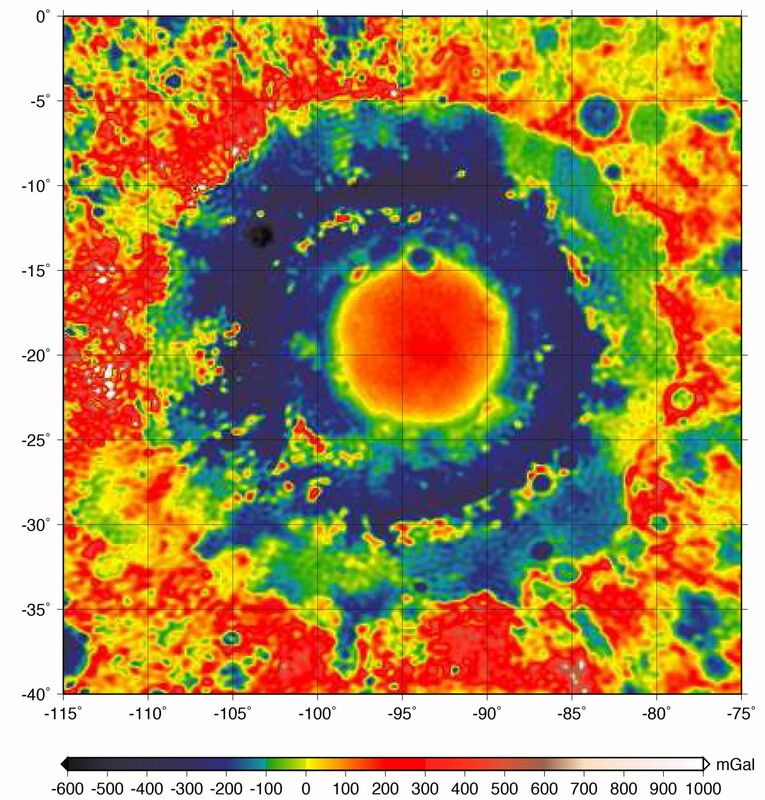 Researchers have been poring over the data collected from 1.2 miles (2 kilometers) above the enormous Mare Orientale impact basin, and have published two papers in the journal Science this week – one focusing on understanding the structures of large impacts, and the other detailing how Orientale formed and applying that information to create simulations accurately portraying the formation of the basin. Of particular interest was the structure of the crater itself. With smaller impacts, “classic” bowl-shaped craters are formed. However, larger collisions create a markedly different formation – wide, flat basins, often with multiple walls or rings. It had been theorized that the rings in Orientale were remnants of the initial impact. Data from GRAIL, however, showed that to not be the case. The Orientale basin, as well as other multi-ring basins, have long interested scientists because they represent cataclysmic events, disrupting the surface far from the impact area and thought to eject material from deep within the crust or mantle and deposit it on the surface. However, Orientale’s composition matched that from the rest of the lunar crust, and scientists were keen to discover why. Brown University’s Brandon Johnson, lead author of the second paper, was pleased with the data from GRAIL and is positive that researchers now have a firm grasp on what happened following the large impact. “Because our models show how the subsurface structure is formed, matching what GRAIL has observed, we’re confident we’ve gained [an] understanding of the formation of the basin close to 4 billion years ago,” Johnson stated in Thursday’s release. But what about that missing mantle material? Simulations, bolstered by data from GRAIL, show that when a catastrophic impact occurs, the gash in the mantle quickly collapses and material from the crust rushes in to fill the crater. Though GRAIL may have ended nearly four years ago, its findings will be keeping researchers busy for quite some time.